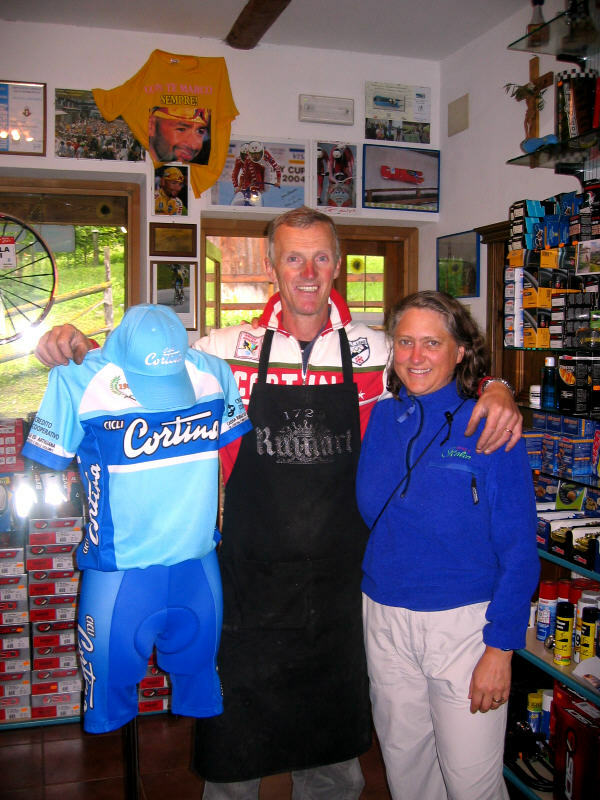 My thanks to Julie Gildred, founder of Ride Strong Bike Tours (www.ridestrongbiketours.com), for her story of cycling Monte Grappa. "I used to have fond memories of Grappa. It reminded me of a time well over a a decade ago when I had a love affair with a man who preferred it. Something about getting the quickest buzz with the least amount of alcohol. In its simplest form, Grappa is fire water made from the leftovers of the winemaking process (the stems, skins and seeds of the grapes). 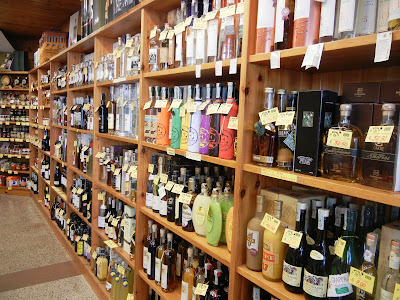 While there are now thousands of different varieties of Grappa, they are all stiff ranging between 35% – 65% in pure alcohol. Bassano del Grappo in the northern Veneto region of Italy is the heart of Grappa making country. I would argue the most prominent and potent feature of Bassana del Grappa is not the Grappa itself but the mountain rising up just to it’s north – Monte Grappa. 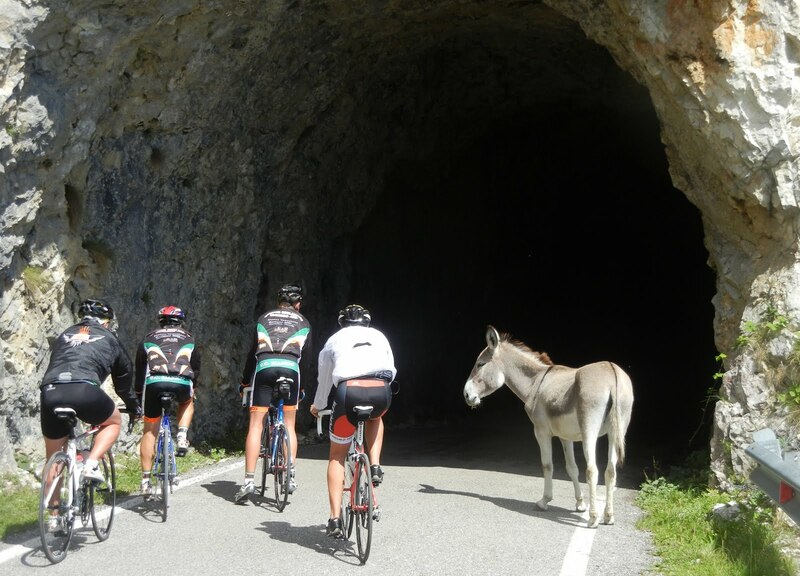 Unless you’re an Italian World War 1 buff, hiker or professional cyclist you probably haven’t heard of this massif. 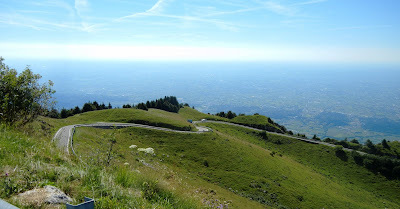 But amongst locals and cyclists in the know, Monte Grappa is a climbing paradise. I woke this morning in my inexpensive Italian villa in Crespano del Grappa and decided I’d give Grappa a go. I had a rough plan of riding up to the summit, descending a different route and continuing onto a more gentler 80 km day through the towns of Asolo and Bassano for a beer. Of the alleged 9 different paved ascents of Monte Grappa, I got my first taste just 6 km down the road in Semonzo. As I geared down, a rush of adrenaline filled my legs. Feelling fresh I spun past several other cyclists (albeit older and wider than myself), soaking in the panoramic views of the Veneto valley below. 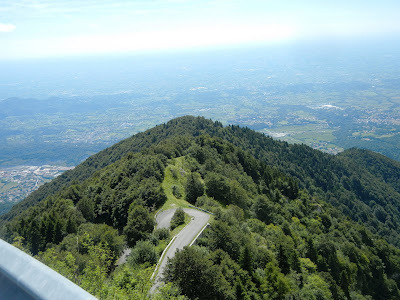 Between each hairpin (‘tornate’ in Italian) where the road gave respite, the slopes got steeper and shots of adrenaline were running out. Spray-painted on the road were various kilometer markings to the summit but they counted up, not down. I had no idea how long I’d be at this slog. After the Vacancsoleil rider motored past but before I had a clear view of the summit I resolved that my choices were limited. I could only go so fast. There were more ups and downs that really give you a false average profile and then turning the corner I could see several switchbacks to the top. The last few kilometers riders approach from all sides and it’s a bit reminiscent of Ventoux only more confusing and more beautiful. To the left of the parking lot there’s a large war sanctuary holding the bodies of 10,000 Italian soldiers killed during the battles in WW1. On the other side are more tombs of Austrian-Hungarian soldiers, statues and flags. I opted to take in only the endless views. The chain of the Dolomites to the north and the plains of Veneto and even Venice to the south. Now, it was time to find my alternate route down. From the cemetery I retraced my steps 3 km down to a largely unmarked intersection. There was no indication that this road would not turn into an unpaved goat path so I hesitated long and hard until 5 road cyclists flew past. I followed. The road didn’t turn into a goat path but it did turn into a paved mule path. It’s so narrow that a small car and a cyclist cannot share the road simultaneously. Add in the wild mules, rock tunnels and sheer cliffs and the scenery was off the planet. But I had had too much Grappa. This became abundantly clear when the mule path ‘descent’ kicked back up into a 13-15% grade. I had absolutely nothing left. At the top of the second surprise ascent, the gang of 5 stopped at yet another unmarked intersection where a smaller road fed into and literally off of the cliff. After a brief Italian pantomime discussion the boys confirmed that this trail was my road down! They warned me of 20% grades and the such so I took a big gulp, dropped to my bars and took notice of the sign saying something to the effect of ‘this road is not maintained, go at your own risk’. I went. Gulp - the way down! After the first few hair raising turns and 20% grades down, the road narrowed into the tunnels of maple trees and pines. Perhaps it was all the war history I was reading about but it reminded me of being on the Ho Chi Minh trail. Simultaneously, I felt like I was in the middle of nowhere but still on top of the world. A few more unmarked turns, good guesses and a car full of Austrailians looking to go eat some snails, I landed right back in Crespano del Grappa and hung up my riding shoes for the day. From Semonzo, the climb of Mt Grappa is 19 km and a gain of over 5,000′. It’s as stiff as the liquor by the same name and, if you’re like me, you’ll get a much better buzz." Be sure to use the search feature in the upper right margin for "Monte Grappa" to find more related stories. Stories for the Italian Cycling Journal about rides, granfondos, touring, having a good time cycling in Italy, Italian cycling history, etc. are always welcome. Contact me at veronaman@gmail.com. There are more than 2,100 stories in this blog. The search feature to the right works best for finding subjects in the blog. There is also a translate button at the bottom so you can translate each page. 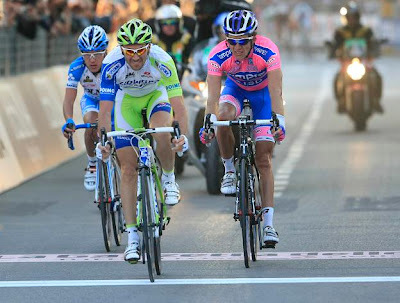 For Damiano Cunego and his teammates the 2011 season is finished but now it's already time to begin the first steps of focusing on 2012. Those steps began for Cunego on Thursday afternoon at the Mapei Sport Service center where he underwent several evaluations. The evaluations were made by Lampre-ISD’s Doctor Guardascione who explained the tests, "The tests were for endurance and Vo2max. They allow us to measure the fitness of the athlete and they are very useful in planning the winter training program. Considering the results and the characteristics of the athlete we’ll give Cunego a precise program of preparation in view of the next season, even if the race program for the rider have not yet been decided." 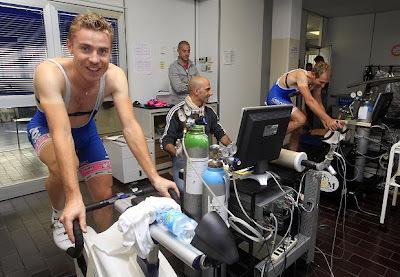 "On Sunday in Japan I took part in my final race of the season (Japan Cup, 4th place), it has been a long 2011," Cunego explained. "During the year I lived beautiful moments and also less happy ones, but I have no regrets. I always gave my best, also thanks to the support by my team. Now I’m going to rest for several weeks during which I’ll go on holiday with my family, maybe in Zanzibar. Then, I hope I’ll have the chance to attend some car rallies before starting the winter training program the last week in November." My friend Eros Poli, 1984 LA Olympics Gold medalist and 1994 Tour de France Mont Ventoux stage winner, is partnering with pro triathletes Francesca Tibaldi and Alessandro Degasperi in organizing a tri camp in the Canary Islands from 6 to 13 February, 2012. English speakers welcome. You can contact Eros or Ale via the contact information on their website. Jac Zwart, author of the Dutch language book "Wielermonumenten - Reisgids door de geschiedenis van de wielersport" (Cycling Monuments - Travel Guide through the History of the Sport of Cycling), sends in another one of his excellent contributions to ICJ. He writes, "Apparently 2011 is a good year for new cycling monuments and especially in Italy where quite a lot of new memorials have been installed recently. 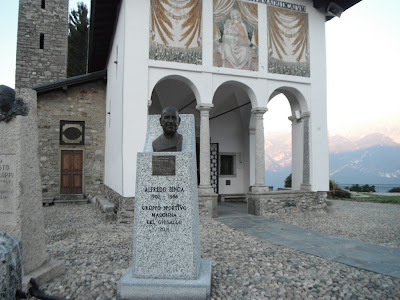 Just before the professionals climbed to the chapel of the Madonna del Ghisallo in last classic of the season, the Giro di Lombardia on October 15th, a bust for Alfredo Binda had been placed alongside those for Coppi and Bartali to celebrate that Binda had passed away 25 years ago. Alfredo Binda is one of the icons in the history of Italian cycling. He was the first professional world champion (in 1927) and repeated that victory in 1930 and 1932. He is one of the few who were able to perform like that. Only Rik van Steenbergen, Eddy Merckx and Oscar Freire managed to do the same. In his career Binda won at least 110 highly ranked races. Most of them were in his home country because abroad he was less successful. His victories, in addition to those world championships, iclude the Giro di Lombardia (4x), Milano-Sanremo (2x) and four national titles. He won five editions of the Giro d'Italia and 41 stages in the Giro, a record that has only been beaten by Mario Cipollini in 2003. As the story is told, Binda is the only rider that has ever been paid not to start in a race. After he had won twelve stages of the fifteen in the Giro in 1927 and in 1929 eight, the organization offered him the amount of 22.500 lires if he would refrain from starting, afraid as they were that the interest from the public would vanish (and the number of sold copies of the Gazzetta dello Sport would decrease significantly). To the contrary, Henri Desgrange offered him money in 1930 to come and start in the Tour de France. Binda won two stages in the Pyrenees, but gave up later and returned to Italy. It was his one and only appearance in the Tour. Binda was mostly a good-humoured person, who played trumpet, and who had a brilliant style of riding. René Vietto once said that you could put a glass of milk between his shoulders and that on arrival he wouldn't have spoiled a drop. After he resigned, he became a sporting director. Due to his diplomatic skills, he managed to convince Coppi and Bartali to forget their rivalry and cooperate in the Tour of 1949." "Italian Racing Bicycles: The People, The Products, The Passion" is a new book by Guido P. Rubino that was released on October 1st. The book is published by VeloPress. VeloPress provided me with a media review copy of the book. The book is in hardcover, with a jacket, has 230 color and b&w photographs in 174 pages, and measures 10 3/4" x 9 3/4". The price is $39.95. The ISBN number is 978-1-934030-66-0. The book is also available in Italy under the title, "BICICLETTE ITALIANE, I marchi, gli uomini, le storie". The English translation of the book is by Jay Hymans. The author, who is Italian (of course!) has been writing about cycling technology since 1996, with articles in such magazines as BiciSport, Cicloturismo, and MTB Magazine. He is the coauthor, with Paolo Faccinetti, of Campagnolo: 75 Years of Cycling Passion and author of La Bicicletta da Corsa and La Mountain Bike. 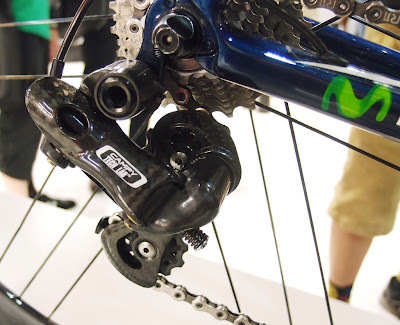 "Italian Racing Bicycles" begins with a brief introduction before continuing with its brand-based organization that begins with 3T and finishes with Wilier Triestina. In between, covered are Alan, Ambrosio, Atala, Bianchi, Bottecchia, Campagnolo, Casati, Cinelli, Colnago, Columbus, Daccordi, Dedacciai – Deda Elementi, De Rosa, Ganna, Gios, Gipiemme, Guerciotti, Legnano, Masi, Miche, Milani, Modolo, Moser, Olmo, Olympia, Passoni, Pegoretti, Pinarello, Rossin, Scapin, Selle Italia, Selle Royal–Fi’zi:k, Selle San Marco, Somec, Tommasini, Torpado, Universal, and Viner. Rubino points out that, "Reconstructing the histories of companies was not always easy; often the people currently directing a company have difficulty preserving and handing on the historical record of their activity.....". Indeed, a problem that all vintage bicycle enthusiasts are very familiar with. Each brand section begins with the origins of the company and progresses through to today. There is much to learn from the book. Just as an example, for Alan, "Although aluminum bicycle frames were briefly made in the 1890s, aluminum-save for a few experiments-was largely unknown to racing bicycle frames until 1972. It took the felicitous intuition of Lodovico Falconi to make use of aluminum a commercial reality. "The idea came to me one evening while watching television," Falconi says today. 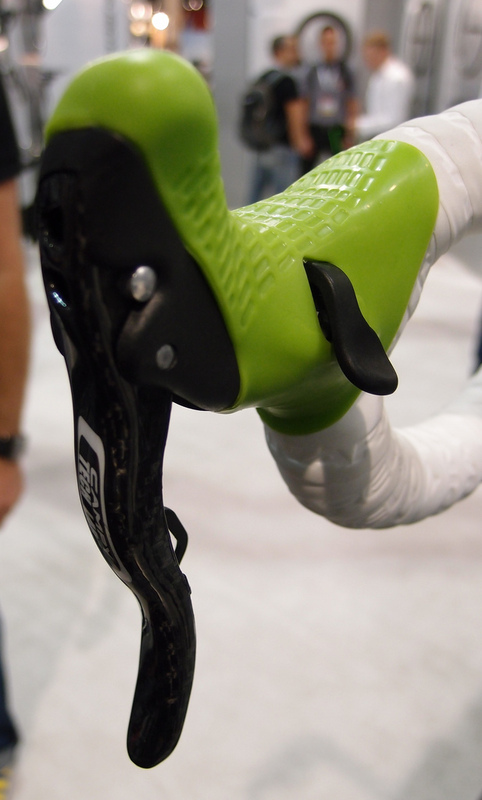 "Several parts of bicycles were already made in aluminum....why not make frames out of it?". The sections vary in length, as examples: Bianchi (12 pages), Campagnolo (12 pages), Colnago (10 pages), Cinelli (8 pages), Pinarello (8 pages), Masi (6 pages), Pegoretti (4 pages, one of which is a full page photo of his workshop), Rossin (2 pages), Ganna (2 pages), Olmo (2 pages). In other words, don't expect the same level of detail for each brand. The book can have a different approach depending upon the section. For example, the section on Cinelli focuses it's photography attention on past accomplishments (Super Corsa, Laser, Spinaci) whereas the De Rosa section has more of a focus on titanium (Doriano De Rosa builds all the Ti frames) and carbon. The book has many wonderful photos like that of the winning Bianchi tandem ridden by Terruzzi and Perona to a gold medal in the 1948 Olympics in London, the Pinarello Espada with the 61 tooth chainring of Miguel Indurain, Cino Cinelli with Fausto Coppi, Coppi's 1953 Bianchi, and many others. 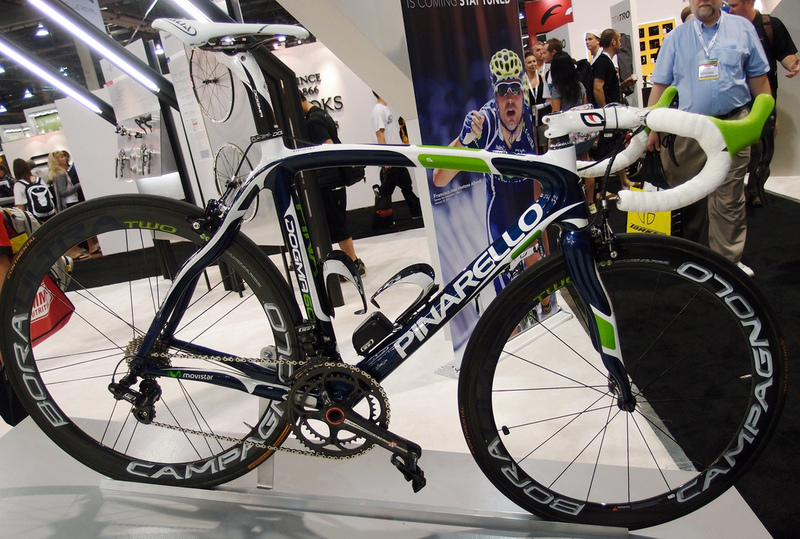 "Italian Racing Bicycles" gives a broad overview of key Italian manufacturers (I'm not sure about the inclusion of Milani rather than, let's say, a Chesini). I particularly enjoyed learning more about the history of these companies, the men that started them, and their reasons for doing so. It's a book that won't answer all your questions but will start you on a journey for learning more. Grab a cappuccino, sit back, and enjoy. ".....With mixed success, Italy's artisans have also summoned these qualities (technical skill, experience, road testing, fine design) to create a bulwark against the onslaught of foreign brands that have appeared on the market backed by impressive investments in technology. In the face of this technological and commercial offensive, which took hold in the second half of the 1980s, Italy's famous names have been forced to revise their industrial strategies. Brands from the far East, qualitatively sound and made at costs radically lower than those required by the labor-intensive methods of Italy, have put many Italian companies in crisis. In particular, those who have proved unable to effectively industrialize certain production cycles have suffered greatly from the explosion of inexpensive mass production in Taiwan and China. The Italian response, though the industry continues to dedicate its manufacturing attention to the top of the range, has included the increasing adoption of manufacturing in the Far East. Not surprisingly, this change has generated a certain amount of confusion on the market: What now constitutes an Italian brand?". If you have a question about the book I may be able to answer write to me at email address below. "The race organization is under way! The date is fixed for Saturday, 23rd June. 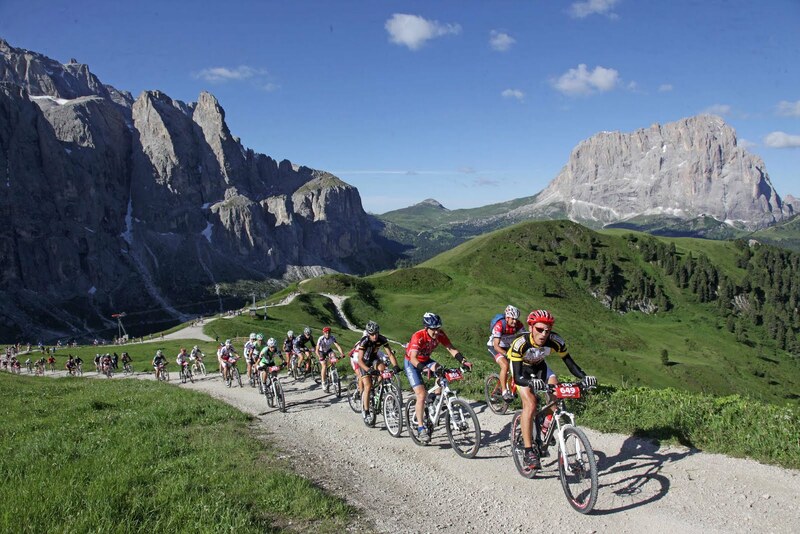 The route will take competitors on a fascinating route across the Dolomites, a UNESCO World Heritage Site. The maximum number of participants will be 2012, so allowing a charitable draw to be organized around the last race place. Race registration will be open from Tuesday 25th October 2011 and applications can be made on-line. Yes, the third edition of the HERO, as it is now commonly known in race circles, is well and truly upon us! A star was born in 2010 and in July 2011 it really began to shine bright. After two editions of the event we can confidently say that the HERO has taken its place as one of the most important competitions in the mountain bike race calendar. Certainly it is regarded as an extreme and grueling event but also as a fascinating and appealing one, this due to the unrivaled beauty of the Dolomite landscape, UNESCO World Heritage Site, in which the event takes place. The route the HERO takes is real special, both for the magnificence of the setting and the immersion in nature into which the athletes plunge themselves. And just for a moment to reflect back on the second edition of the Südtirol Sellaronda HERO, we cannot forget the success enjoyed in terms of numbers and quality of the riders taking part. Proof of such affirmation is in the fact that registration closed a month before the event on reaching 1,500 registrations, these coming from 28 counties across 5 continents. Amongst the elite athlete group featured Mirko Celestino, number 1 in the world rankings for the “marathon” distance, who duly honored the event by coming home in first place. So now, full of enthusiasm from past memories we look forward to the next race day on Saturday 23rd June 2012. The Organizing Committee has set as a target 2.000 race registrations. In fact a few more besides, for the actual number is 2012, this number coinciding with the year of running so as to allow a charitable draw to be organized around the last place. The organizing committee, led by Gerhard Vanzi and Peter Runggaldier, have determined that the ‘last and final place’ will be auctioned and that the sum collected will be donated to Assisport Alto Adige, the South Tyrol association which supports young sporting talent. Two local champions “made in Südtirol”, Gerhard Kerschbaumer (already World Junior champion) and Julia Innerhofer, (Italian national mountain bike team member and winner of the bronze medal in the recent World championships in Chàmpery, France) are lending their name and support to the initiative. As for the qual ity of the field confidence is high that the cream of the crop will turn out in plenty on the 23rd June, this thanks to the trust that the international federation is showing in the race. The Südtirol Sellaronda HERO is now part of the UCI calendar and this will no doubt raise the international profile of the event and represents a further pass towards making the HERO something of real prestige. And on the back of the response to the second edition the Organizers have decided to try and attract more than 2000 to the start line, and to ensure that there are representatives from at least 30 countries in 5 continents. The HERO is aiming high. Proud in the knowledge that it has several successful ingredients. 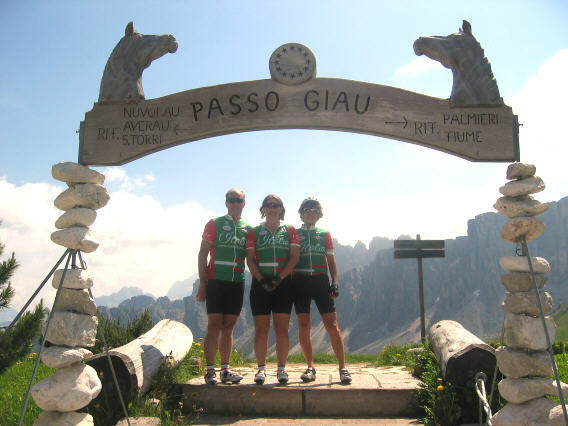 One ingredient is without doubt the unrivaled beauty of the route across the Dolomites, UNESCO World Heritage site, a demanding route indeed but perhaps one which offers some solace to riders. The inspirational nature of the landscape is difficult to tell in words, but the proof for all to see will again be clear for all to see in the new video-spot being prepared for the 2012 registration launch and which is available on the Organizers site at www.sellarondahero.com. The total prize money for the Südtirol Sellaronda HERO is intended not only to benefit elite riders but also to recognize the efforts of the “hobby” category. This next year’s prize money will total 45.000 euro – another HERO record!. For other aspects of race organization one can apply the motto “Never change a winning team” in that the race routes will remain the same – the longer one being 82 kilometers with 4.200 meters in altitude difference and the shorter one 50 kilometers with 2,600 meters in altitude difference, both with start and finish in the heart of Selva Val Gardena (1.563 meters a.s.l.) Don’t forget to look out for the side support events such as the HERO KIDS, an important preparation for the champions of tomorrow, and the Sellaronda Bike Day on Sunday 24th June when thousands of cyclists will enjoy the Dolomite roads, closed to traffic for the “Sellaronda Bike Day 2012”." For the women's Olympic road race the UCI's ranking will be made on June 1, 2012. The top five countries will be able to send four riders; from 6th to 13th ranked, three riders; and, from 14th to 28th ranked, two riders. Rankings by individual, nation, and team can be found here. Read more about Giovanni Pelizzoli, the founder of Ciöcc, here. With Stage 17, 23 May 2012, of the Giro d'Italia finishing in Cortina d'Ampezzo, Larry and Heather from CycleItalia have been nice enough to share one of their favorite loops starting in Cortina. As a reminder to ICJ readers: ride stories are always welcome, share your story. "Here’s a challenging loop from Cortina we’ve used in the past as part of our Legendary Climbs Series. Visit Cicli Cortina for low gears if you’ve not fitted them already. Our rental machines feature 30-26 or 34-29 and we think it’s better to have gears lower than you need rather than vice-versa, especially at the end of the day. 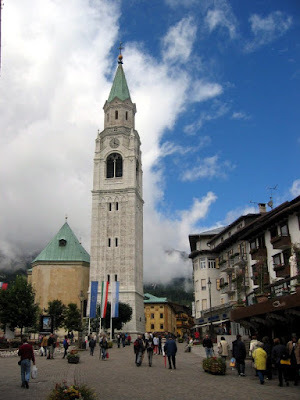 Depart the “Queen of the Dolomites” south towards Venice. As you enter Venas di Cadore after around 25 kilometers, turn right (a hard right, easy to miss) towards Cibiana. You’ll feel like you’re dropping of the face of the earth as you descend and you’ll quickly realize you’ll be making all this up soon enough on the climb. You’ll climb for just over 10 kilometers, mostly in the shady woods with a few ramps with double-digit grades, topping out around 1536 meters at the rifugio, a great place for a caffe, or something more if you didn’t take on enough at breakfast. A technical descent will take you past some Merckx-era graffiti before you begin the climb of Forcella Staulanza, in the same direction as the upcoming Giro d’Italia. This climb’s a bit more mellow than Cibiana in our experience, with splendid views as you climb above the tree line to the summit at 1773 meters. Enjoy pranzo at the Rifugio Staulanza and don’t miss the casuncei, pillows of pasta filled with cheese and red beets and served in a butter and poppy seed sauce – their specialty. Remember you’ll have a fun and sweeping descent to help with digestion, but it’s probably better to save the dessert to celebrate your arrival at the top of the final climb, Passo Giau. You’ll be savoring the thought of some wonderful strudel as you grind up the steep (pretty much 10 kms at 10%) ramps of this “hard” side of the Giau with the previous passes beginning to be felt in your tired legs. Perhaps you’ll reward yourself with, in addition to the amazing views from 2236 meters (often the Cima Coppi or highest point of the Giro route) what one of our guests used to call the trifecta – strudel and a hot chocolate, washed down with a coke! The descent from Passo Giau tends to be more of what Larry calls a “braking contest” with mostly straight ramps linked by hairpin turns rather than sweeping bends, not nearly as much fun as the Staulanza and often covered with the feces of our bovine friends who graze here in the summer months. Be careful! Before long you’re making the small climb up to Pocol where you turn right and descend back to Cortina and your hotel. Our favorite (and one we still use) is Hotel Ambra in the center of the town. 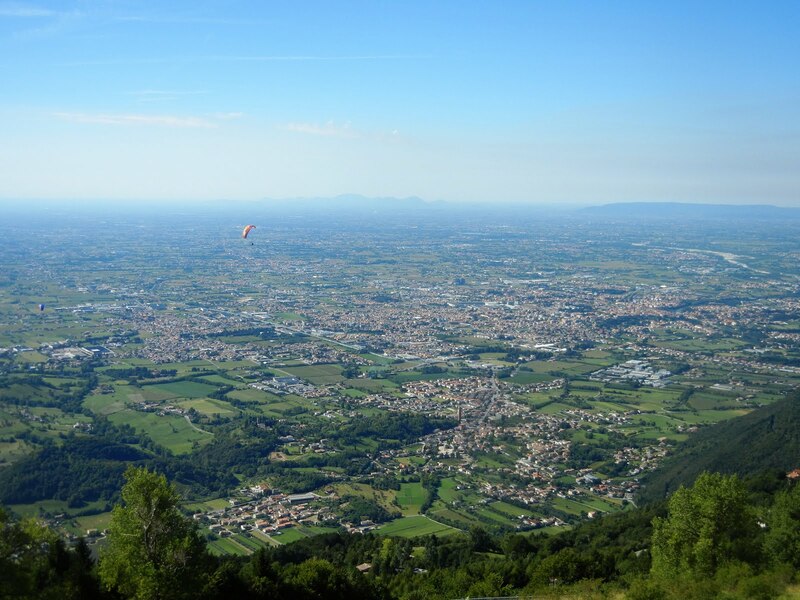 You’ll have earned a great dinner after enjoying 99 kilometers and 2643 meters of climbing and there are plenty of ristoranti and pizzerie to chose from in the lively town, home of the 1956 Olympic Winter Games." 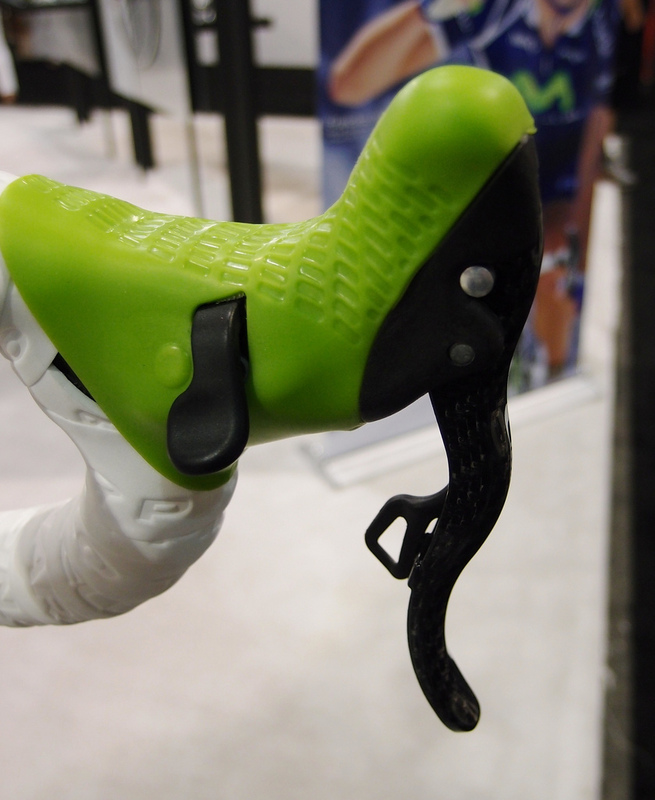 GEOX, the primary sponsor of the GEOX-TMC team, has decided to exit cycling after one year. 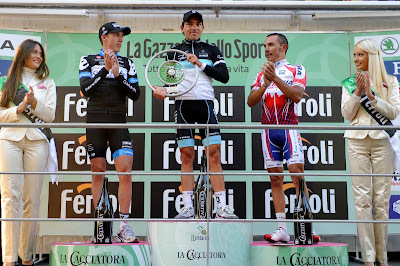 Despite having signed Carlos Sastre and Denis Menchov as team leaders the team was not selected in November, 2010, as as UCI ProTeam (formerly ProTour) for 2011, instead being named a UCI Professional Continental Team. At the time Mauro Gianetti, the manager of the Geox-TMC team, bitterly criticized the way the UCI had awarded ProTeam places for 2011 after his team missed out on one of the 18 slots. The decision meant the team could only hope that they would receive invitations to the major races rather then being guaranteed entry. The team did race in the Giro d'Italia and Vuelta a España as a wild card entry, it was not invited to the Tour de France. Now, riders are left with trying to find another team after the period in which many of the transfers for the next season have already been negotiated. Cobo's situation is especially miserable as cyclingnews.com noted, "However, since the announcement of the sponsor's exit came after the October 15 deadline to submit rider contracts to the UCI, the riders' points will likely not be counted toward his new team's rankings toward the WorldTour, making Cobo's Vuelta win essentially worthless." It's a tough sport on so many levels. Jan Ullrich, the 1997 Tour de France champion and 2000 Olympic gold medalist, will be participating in the final round of the 2011 Gran Fondo USA series at the Gran Fondo Miami on November 20th, 2011. "After some private difficulties in the past, I have found the love for cycling again. Cycling was always the most important part of my life and I now find it enjoyable again," said Ullrich. "The sport of cycling provides a certain lifestyle as well as an additional quality of life through health, fitness and pleasure. Moving forward I would like to share this with others and the concept of “Gran Fondo USA” fits perfectly within this goal. At some points during my professional career, I was not able to enjoy the simple pleasures of racing over different terrain, the camaraderie with my teammates and at some points the hard effort was no pleasure at all. Today all this has changed and the values and philosophy of the professionally organized Gran Fondo USA series fits perfectly with my objectives and values to have fun while still being competitive”, Ullrich said. 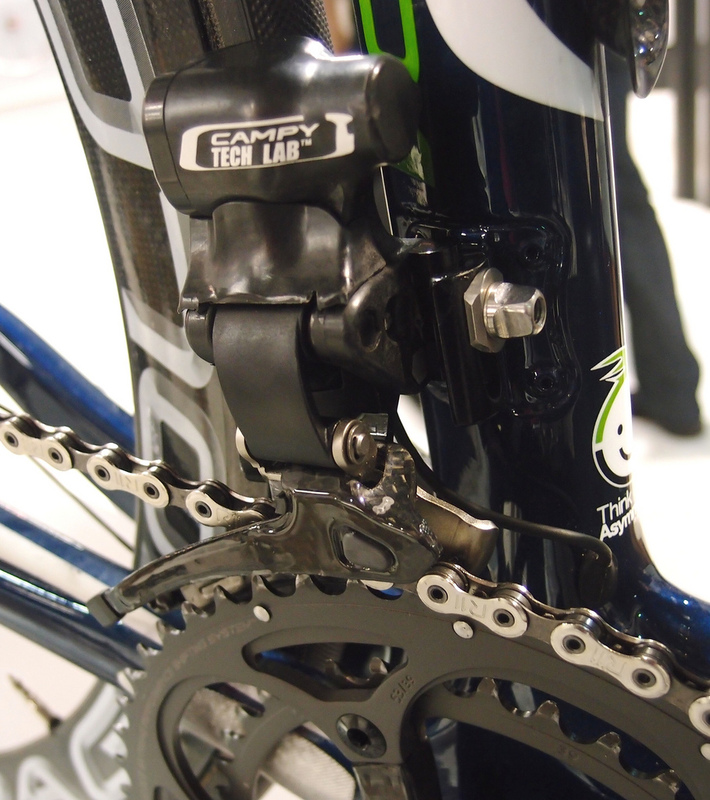 Campagnolo will launch its electronic shifting system on November 7th to pro teams and press at a launch in Sicily. Two weeks later Campagnolo will begin deliveries to pro teams that will be using the gruppo in time for their December training camps. How long before they start reaching consumers? January, 2012? Use the ICJ custom search feature on the right margin to find all related articles, use "Campagnolo electronic". 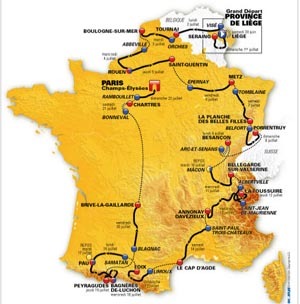 Running from Saturday, June 30th to Sunday, July 22th 2012, the 99th Tour de France will be made up of 1 prologue and 20 stages and will cover a total distance of 3,479 kilometres. The 2012 Tour de France route, presented this this morning in Paris' Palais des Congrès (the route for 2012 had already been mistakenly disclosed earlier last week) casts the spotlight on the potential of intermediate mountain ranges. 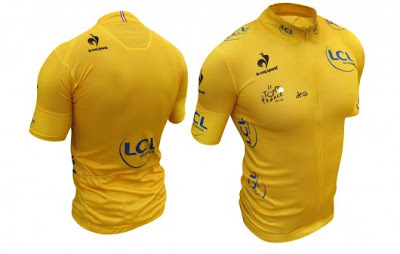 Christian Prudhomme has turned to novelty and to the cyclists' fighting spirit to keep the race for the Yellow Jersey open for as long as possible. Start: Liège, Saturday, June 30, 2012. This will be the fourth time that the Tour de France kicks off in Belgium, a country which has always known how to instil a sense of panache into the peloton. It is precisely this sense of courage which inspired the design of the route of the 99th edition, one in which fortune will favor the bold, even in places where no-one expects it. Punchy riders will get their chance to shine on the rolling terrain of the Province of Liège and, later, Northern France. Those vying for the final victory will be able to go head-to-head before the end of the first week. 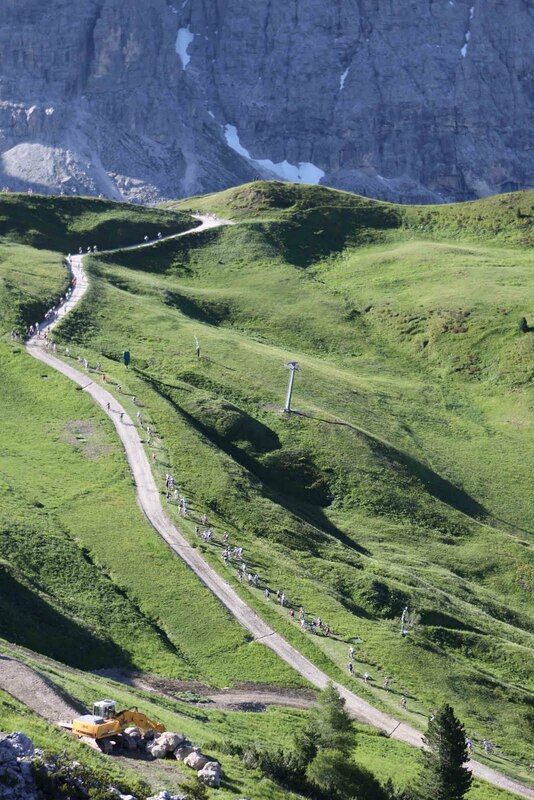 They may even be able to open gaps if they make the most of the mountaintop finish at the Planche des Belles Filles (which makes its debut in the Tour) or the finale of the Porrentruy stage, right in the heart of the Swiss Jura. While the favorites to win the Tour will be expected to dig deep on mountains which until now were labelled "intermediate", they will also have their work cut out for them on the Alpine and Pyrenean stages, whose profiles are especially dynamic. The 140-km-long stage between Albertville and La Toussuire - Les Sybelles will offer no respite to those poor riders who choose to play the waiting game. In the Pyrenees, the discovery of the Mur de Péguère, right before diving to Foix, together with the Aubisque-Tourmalet-Aspin-Peyresourde sequence on the Bagnères-de-Luchon stage and the Peyragudes summit finish, will give climbers the opportunity to shine. 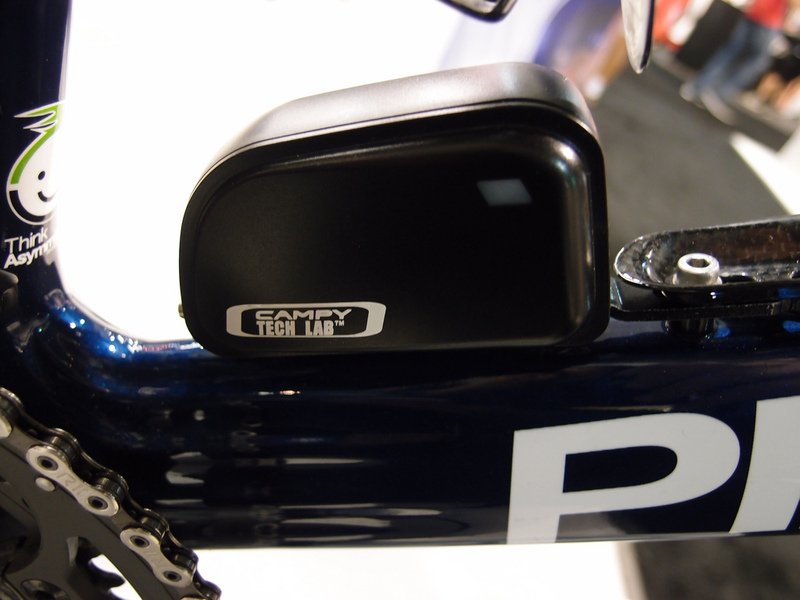 Cyclists will have no choice but to spring into action at the decisive moments. 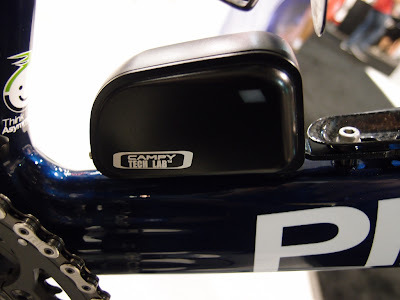 Indeed, the Liège prologue and the time trial stages in Besançon and Chartres will force them to defend their positions in the race against the clock over a combined length of more than 100 kilometers. Asked if the route suited him, this year's winner Cadel Evans said: "I think so, you need a good team there for the GC (general classification), but we have that. I think the second half is favorable towards me. There are longer time trials, and they are a little bit flatter this year so that's a little more favorable to the 'rouleurs'." Andy Schleck's impression was, "There's still 25 mountain passes to negotiate, and there were 23 this year. It will be hard in the mountains, but there's a lot of time trialing and that's something I'm currently working on. Ideally I would like to see another mountain top finish and one less time trial. But I have to take things as they are and keep on working on my time trial." Contador (winner 2011): "Next year, I will think about other objectives, such as the Tour de France. Although you can never say never, next year I will not be here." Scarponi (2nd 2011): "Am I the favorite (as Contador will not be in the race)? No, I think I am one of the five or six riders that will be favored to win." 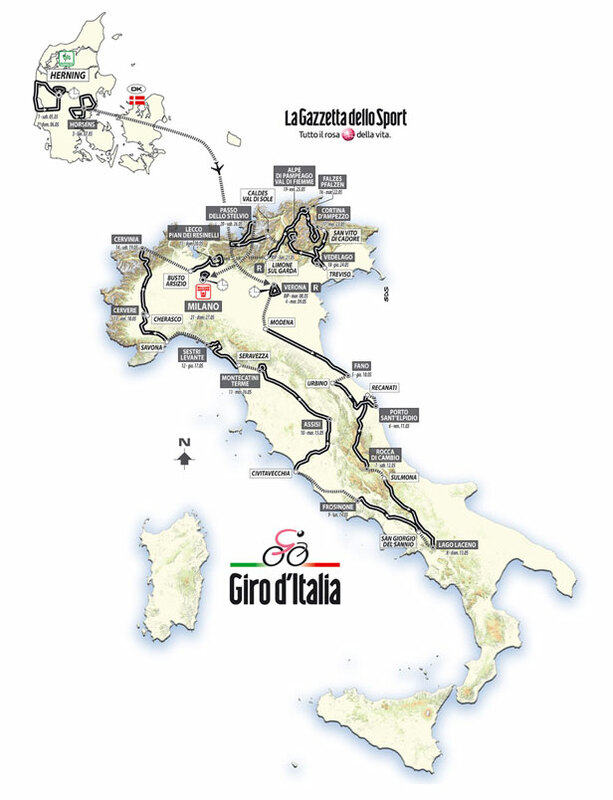 Nibali (3rd 2011): "I don't know if I will be at the start of the Giro. From what I saw, however, it seems a good Giro. Interesting, maybe not as hard last year, but more uncertain and more beautiful." Basso: I really like next year's Giro, I believe it's a course that is very favorable to me. We have not yet outlined plans for next season but I think you can race the Giro and the Tour in the same year." Defending champion Alberto Contador was one of the many riders present. "It's a Giro that is a little different, a little more humane and would allow us to recover better," said Contador. "And, a tour that is more balanced than in previous years. I do not know if I'll be there, I'll talk to the manager but it is currently not part of my plans." Swiss rider Oliver Zaugg (Team Leopard-Trek) has won a surprise victory at the Giro di Lombardia (now named Il Lombardia) in 6h 20’ 02” at average 38,049 Km/h. Daniel Martin (Team Garmin-Cervelo) was 2nd and Joaquin Rodriguez Oliver (Team Katusha) was 3rd. 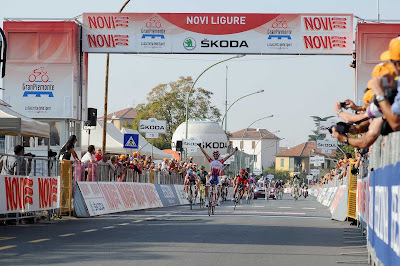 The first Italian to finish was Ivan Basso in 4th followed by Domenico Pozzovivo (Colnago-CSF Inox) who was 6th. "It was a surprise for me and for the team," said Zaugg. "I had a chance and I was able to gain the maximum result. I still cannot believe what I did. Honestly, I had this attack in mind since last week, I rode very well but I was also lucky to grab this opportunity of a lifetime. Maybe something will change in the way I race because of this success, it surely gives me the conviction to win many more races. I hope so!". The race will also be remembered as the first and last classics race win for Leopard Trek. Vicenzo Nibali (Liquigas-Cannondale) had the tifosi cheering him on for an Italian victory on the slopes of the Madonna di Ghisallo as he launched an attack. At the top he was by himself with a lead of 1'40". Nibali was finally caught 35 km later on the early slopes of the final climb of Villa Vergano. Zaugg went on to win with a fierce attack on the climb. Nibali finished 40th, 7 minutes down. Team Lampre-ISD best finish came from their first season Polish rider Przemyslaw Niemiec who came in 5th, same time as Basso, at 8" to the winner Zaugg. Damiano Cunego, the last Italian winner of the race in 2008, was 27th. Note: World Champion Mark Cavendish did not start. 10 Riccardo Chiarini (Ita) Androni Giocattoli - C.I.P.I. 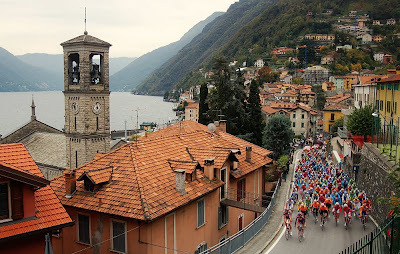 Tomorrow is the last big race of the season, and one of the five "monuments", the Giro di Lombadria (being renamed Il Lombardia, "the" Lombardia). The 105° edition will have Philippe Gilbert trying for a 3rd consecutive victory. After pulling out of the GranPiemonte yesterday, Gilbert is taking today to look at the new Il Lombardia course for this year. Gilbert will have the top Italians to contend with: Cunego, Nibali, Basso, Mollema, and Visconti; Scarponi has pulled as he is taking medication for a tonsil problem. The new course of 241 Km will have riders climb Valcava, Colle Brianza, Colma di Sormano, Ghisallo and the new Villa Vergano which is a 7km long, 12% max climb only 9km from the finish. Regarding the new course Cunego explained, "I've already covered the course of the race, I can confirm that it's demanding, there's no place to rest." Beginning next year the race moves to the weekend after the World Championships, read more here. 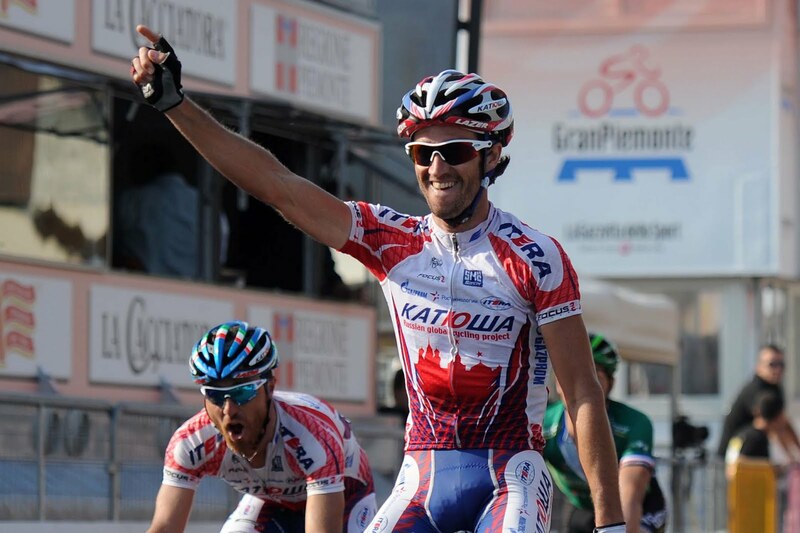 Spaniard Daniel (Dani) Moreno Fernandez (Team Katusha) won the 97th Gran Piemonte. Greg Van Avermaet (BMC Racing Team) was second on the finish line and Luca Paolini (Team Katusha) came third. 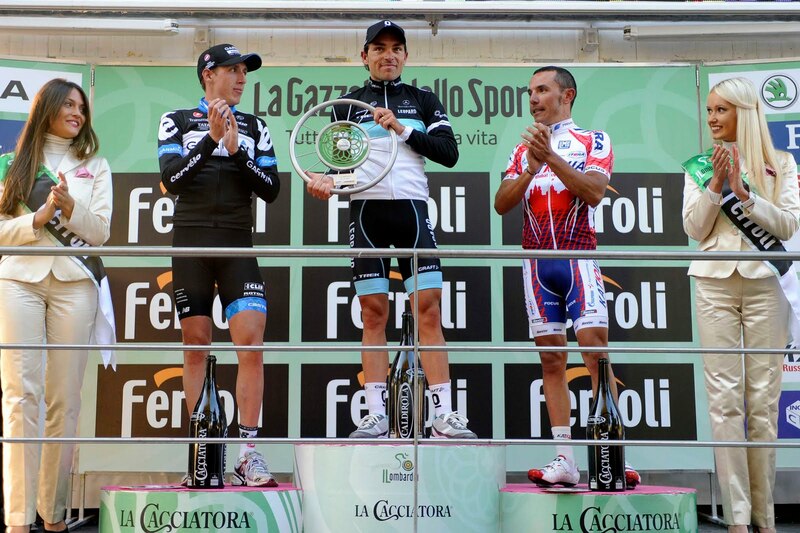 "I am very happy to win this race because I believe the GranPiemonte is a very prestigious race," said Moreno. "The race has been a battle since the early kilometers and no one was spared ... one kilometer to the finish, my teammate Luca Paolini, told me to "go all out" and so I set up the sprint for a win. 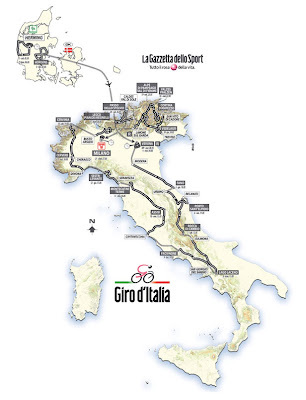 Saturday there will be Il Lombardia, a race that is very hard and long. I will be available to the team and we will see how the race goes. 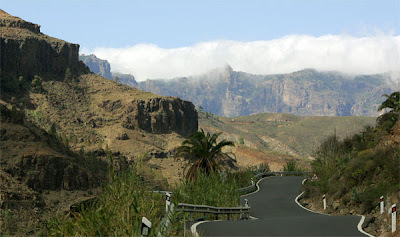 I might try to escape but at that distance and with those climbs it will be much more difficult to win. However, if the best riders arrive together at the foot of Villa Vergano, Joaquin Rodriguez and I'll give a show." 138 rides started in Piasco. At 15km 27 riders including the World Champion Mark Cavendish went clear. The average speed after one hour was 51.400 km/h. At 69 km the race is together again, Cavendish pulls out. 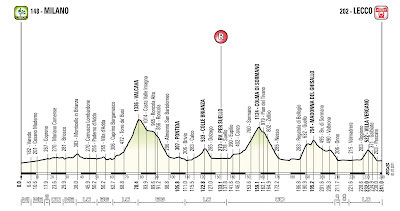 The winning break forms at 85 km with 29 riders: Van de Walle, Bonnafond, Roche, Montaguti, Frank, Kohler, Morabito, Santaromita, Van Avermaet, Jerome, Pichot, Voeckler, Txurruka, De Negri, Giordani, Colli, Moreno Fernandez, Paolini, Rodriguez Olivier, Buts, Niemiec, Bennati, Zaugg, Nibali, Marangoni, Steensen, Boaro, Lövkvist, Rogers. The average speed after two hours is 46.150 km/h. 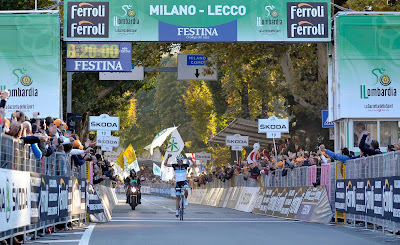 In the end 14 riders were contesting the victory: Roche, Frank, Santaromita, Van Avermaet, Voeckler, Moreno, Paolini, Rodriguez, Niemiec, Bennati, Zaugg, Nibali, Steensen and Lövkvist. Time of the winner: 4h 45’ 16”, at an average speed of 42,700 km/h. My thanks to my friend over at Travels with a Tin Donkey for this excerpt from his 2011 L'Eroica adventure. The full story is here. "Sunday, October 2: We got up at 4:30 and drove the car, bikes and stuff for the day in the back, back to Gaoile for the start of l’Eroica. It was pitch dark but already the village was active as those starting the long routes (205 and 132 km) were getting ready to leave. We were directed to a parking place next to a warehouse and quickly got the bikes set up and headed to the start line. Everyone leaving this early was supposed to have lights. Bernd had a good strong light mounted to his helmet and I had a LED light on the handlebars, as well as a highly-visible taillight under the seat. I was wearing armwarmers and long-fingered glove liners because it was quite cold but I knew in a short while we would be sweating. We pulled up to the control stand and had our cards stamped and at 6:10 we officially departed for the 132 km course of l’Eroica with some trepidation. Leaving the town and following the trail of blinking taillights, I soon realized that I could barely see anything and began to wish I had brought my regular glasses. I can see well enough with non-prescription sunglasses during the day but nothing at all was visible. I was just grateful that the roads were so well-paved that potholes were not a concern. As it was I rode much more slowly than I had planned at this stage. After some time passed (and I had no real idea how much), the course turned and we were suddenly on a steep gravel climb. I was to learn later that this took us up to the castle of the famous Brolio wine estate but it was enjoyable to climb in the darkness, our way lit by oil lanterns burning on both sides of the road all the way up. It was still cold but surrounded by other cyclists and the sound of whirring gears made the climb a unique experience. The sun rose around 7:15 and it began to warm up. The gravel roads were not too bad, although there were some soft and sandy parts to watch out for, along with dust, but we made decent progress. The road constantly rose and fell and there was a startingly steep (but blessedly short) climb around the 20 km mark which must have been a 20 percent grade. My gearing was fine for this but the pedal/shoe combination was to give me some trouble for the rest of the day and I rode all the descents in the drops, getting as much braking power as the pathetic Weinmanns were up to. Bernd was riding a bit ahead of me and I was riding for a while with a young Englishman on a very nice Mercian. The gravel was loose and as we came around a corner he lost traction and went down in a great cloud of dust. No damage to himself or the bike but it just showed how difficult the roads are. This was his fourth l’Eroica. I caught up to Bernd soon after since he was standing by the side of the dusty ride, his tubular tire off and struggling to put on his spare tire. It was my first experience with tubulars and I found it quite instructive as he placed the glue tape on the rim, got most of the tire on, stripped off the top layer of tape to explose the glue and then rolled the last tire on. This sounds easier than it was as tubular tires do not want to go easily onto rims, but between the two of us we managed it. The dust was probably not ideal for the gluing surface either but it seemed to be okay. We skirted around Siena (a bit disappointing as I hoped to see something of the famous town) and a few more climbs and descents brought us to Radi at Km 48 and 9:40. It was a bit startling to take 3 ½ hours to go 48 kms without having walked but the road conditions had not been ideal." 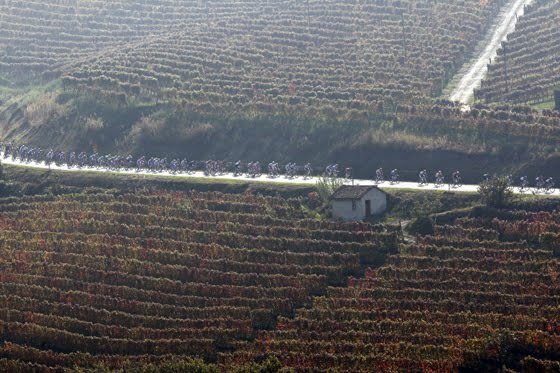 With the Giro di Lombardia on Saturday, October 15th, riders will have a chance to test their legs tomorrow in the GranPiemonte 2011. 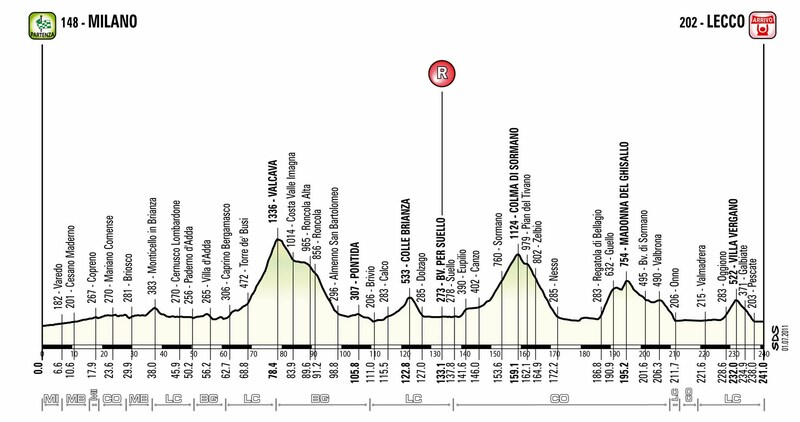 The 203 km race (4 km longer than originally planned due to two bridge closings) will begin in Piasco (at 1040) and finish in Novi Ligure (at approx. 1540), touching the provinces of Cuneo, Asti and Alessandria. Less than 2km from the finish is a 8%, 900 meter pitch that could decide the race. Present will be new World Champion Mark Cavendish, Belgian Champion Philip Gilbert (winner of the last two editions), Olympic champion Samuel Sanchez, Thomas Voeckler who awed us in the Tour de France, Italian champion Giovanni Visconti, Vincenzo Nibali, Filippo Pozzato (coming off a victory on Sunday in the Gran Premio Bruno Beghelli), and for Italy the sprinters Alessandro Petacchi and Daniele Bennati. "Why we took up cycling in the first place!"